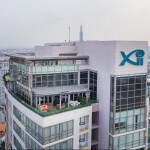 Rex Vietnam is either the owner or the manager of many properties for sale and for rent in Ho Chi Minh City. 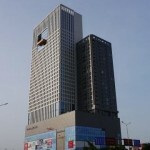 This page will be dedicated to our buildings and properties listing. Here is a short description of each buildings and their features to make your choice easier according to your requirements. Look over the building description, choose your favourite, and go through the relevant page. Estella Heights is a new condo building which includes 872 units. 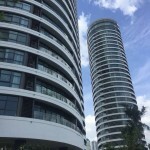 It is a building with many facilities such as gardens and swimming pool in a resort style. Also, Estella Heights has a covered car park, 24-hour security, BBQ and gym area and a basketball court. Another nice feature is the Parkson shopping mall at a walking distance. The gentle Saigon River embraces Saigon Domaine. Designed and developed to the highest standard, it ensures to the peaceful, quiet environment of a private home and high-quality living comforts. Saigon Domaine includes a mini shop, a library, two swimming pool, a boat jetty, a billiard room, bars, a children’s playground (indoor and outdoor), a fitness room and a sauna. 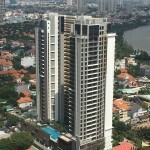 Thao Dien Pearl has beautiful apartments and penthouses for rent and for sale. With great facilities, the Thao Dien Pearl is much appreciated for its community life. A lot of families are living in Thao Dien Pearl. 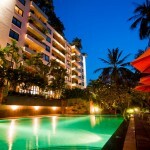 You have a direct access to the Big C supermarket but also CGV cinema and gym and pool area. Located in the heart of Thao Dien, The Nassim is a premium condominium project. Offering a wide range of facilities such as swimming pool, children pool, playground, BBQ area, sauna, Jacuzzi, gym, yoga room, reading room, billard, karaoke room and so on. 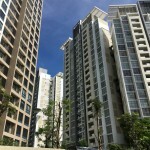 The Nassim offers residents a luxurious urban lifestyle in Ho Chi Minh City. With resort-style swimming pool, an iconic gym with 360-degree view, tropical garden, bbq area, sky garden, tennis court and playground you can enjoy every moment when staying here. A shopping center is at the ground floor of the building. Enjoy lush greenery at Vista Verde with amazing view of the Saigon River. 15 minutes to CBD. 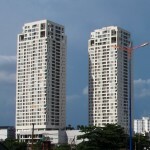 It is a high-class apartment complex on the riverside of the Saigon River. 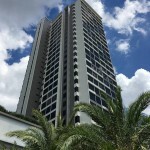 This building has some great amenities such as gym and yoga center, sauna, library, in-house golf course, restaurants, children play ground, swimming pool, tennis court. Within 5-10 min around, you will find CGV Cinema, Metro Hypermarket, Big C Supermarket, Parkson department, International schools.